Each and every week the party grows and it is always filled with wonderful ideas and inspiration. You are all so very talented. Our Pinteresting Family gives a wonderful tutorial on how to recover a plain lampshade with the fabric of your choice. I happen to LOVE the fabric they used. 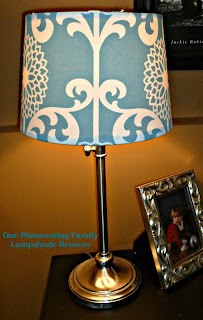 I must have a lampshade somewhere in the house I can do this to. Thrifty Inspirations shares a wonderful tutorial on how to make no sew faux roman shades. I just had to share this GORGEOUS armoire that French Country Cottage scored on Craigslist a while back. She bought it as part of a set (with two mirrors, a six drawer dresser, two night stands and the armoire...all for only $400). She shows this piece in detail if you pop over to check it out. she bought for $5. I am super impressed!! Meg and Mums transformed a dresser into this masterpiece. Hope you will stop by her blog and check out all the details. Adventures of a DIY Dork gives a great tutorial on how to create a custom memo board for a total cost of less than $11! That's my kind of project. 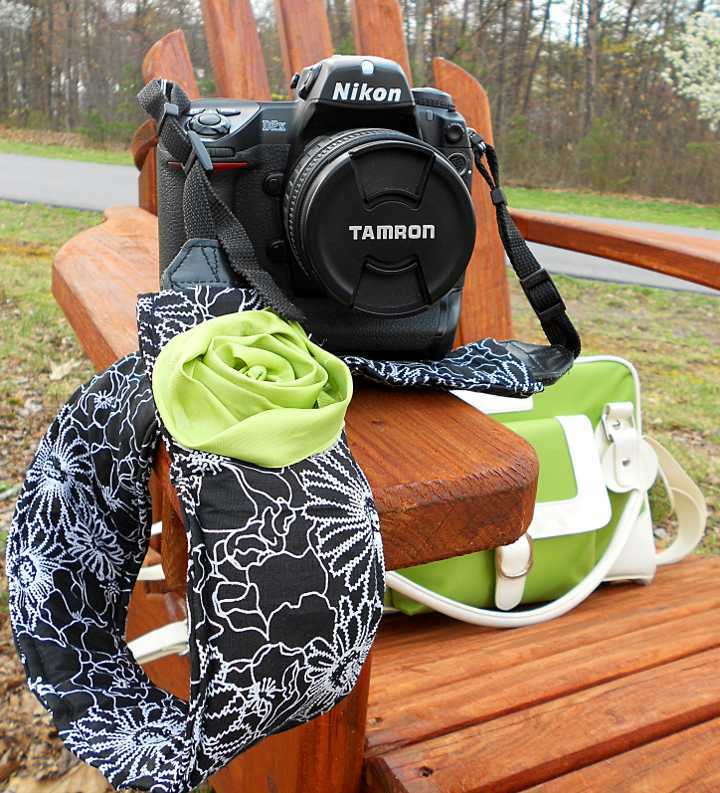 Living Rich on Less shares a great tutorial on how to create your own custom camera strap cover. Joyful Homemaking shares an easy chicken pot pie recipe. With only five ingredients, it's the perfect mid-week meal. 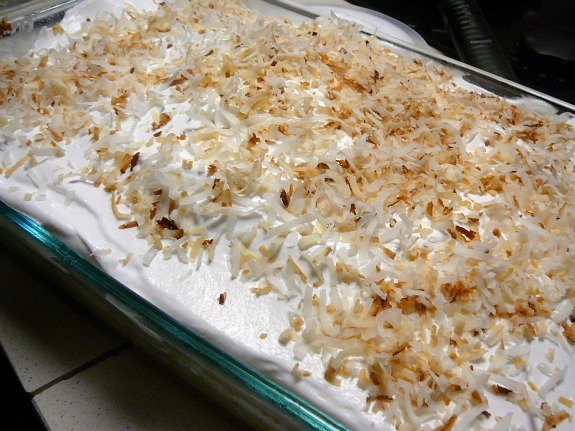 shared her recipe for coconut cake topped with toasted coconut. Thanks for the invite to your party!! I linked up, grabbed your party link, and am following along :) Feel free to drop by on Fridays and link to my I Love Fridays party. Thank you so much for the feature! :) Have a great evening and thank you for hosting. Love the features for this week!! Thanks so much for hosting your linky party to night,hope you have a wonderful week with your family. This is shaping up to be another great party! Thanks for hosting! Hi Judy, why did I not know you had this link party? I can't believe I have been missing out. lol! It sounded like you wanted a Spring post, so I linked a little bit older one. Hope that's o.k. I will add your button to my side bar. Am I losing it? I only see a featured button. BTW, great features! I'm glad to be linking up again this week, thanks so much for hosting! Hi Judy! Thank you so much for hosting your party and what marvelous features you've shown! Hi Judy! Thanks for the party, love those features!!! Wow, so much talent out there - it's mind boggling!! That armoire is just breathtaking! Hi Judy! Thanks soo much for hosting. I haven't linked up in about 6 months, but I'm back. Your party has gotten even bigger. What a great group of features you had to share. I'm off to check some out. Have a great rest of the week! Hi Judy. thanks for hosting. Great features this week. Always a pleasure to join in. 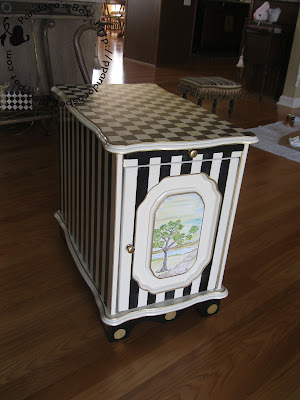 Thanks so much for featuring my armoire Judy!! So sweet of you! I linked a Tall, Dark and Handsome piece this week ;) Thanks for hosting! Thanks for featuring my camera strap cover!